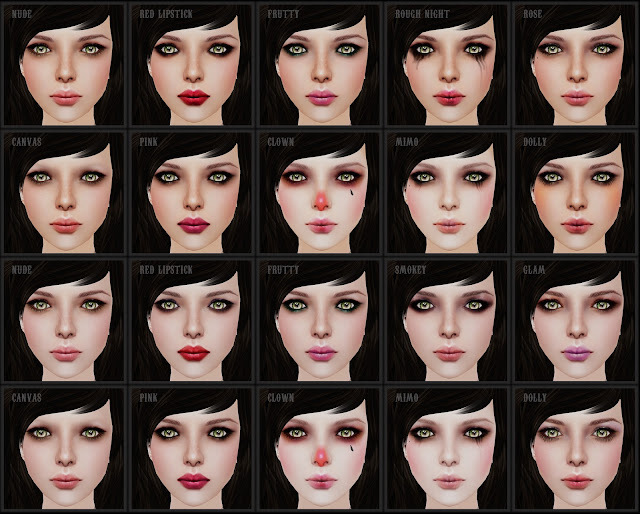 I made some teeth for tattoo layer, they look cute and you don't have to mess with prims! These are teeth only, so you can wear it with your skintone or on top of a lipstick. They look soft and nice in pictures unlike some prim teeth that can look sharp against your mouth. Also they look pretty good when you smile or gesture! Demos are available at the store. Sorry for the delay, finally I am reopening. I had to leave a few things out like some new skins and outfits which I did not have time to prepare the demos etc. So I wanted to do something exciting for the opening but again I did not have time, so for now, there are the lucky chairs, the new gift and the new items but at some stage I'll have an opening celebration and perhaps some activities or a contest, so I'll be looking forward for that and I hope you too! !